Always the same question appears on all expat pages. 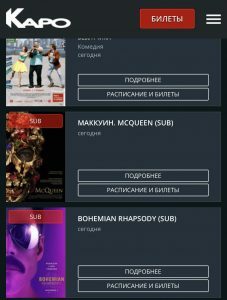 Where to find English movies in the cinema in Moscow? 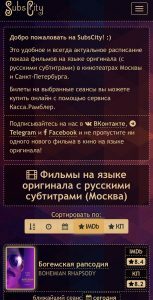 Well we found a perfect website with list of all movies and almost all theatres in Moscow showing that movie in original language. You just need to go to the page, pick a movie out of the list. When you select a movie it shows you the list of all theatres showing it in original language and the times. You can book your ticket right there. It does not include Karo movies which are in big shopping centers, but for this you just have to check on their site where next to the movie you have sign (SUB). Although these are mostly shown in the middle of the day. 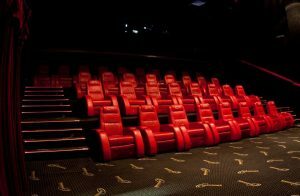 Enjoy English cinema in Moscow!! !